Over the next 45 days (or there about) I am going to be elaborating on advice I wish I could say was entirely my own. However it is not. It is indeed the advice that inspired me to write this blog and it came to my work inbox almost 2 years ago now. It is advice from an article by Regina Brett from Cleaveland, Ohio. She once wrote in an article 45 pieces of advice. Following that advice has already started changing my life. Some of it was advice that I already followed, without really knowing I did. Other parts of it were new revelations to me that changed my thinking on many aspects of my life. Over the next 45 days I will be elaborating on her advice. If I skip a piece of it–I will note that too along with the reason. I want you to remember that advice comes from many sources. Your parents, your friends, your grandparents, the Bible, and from yourself. Be open to it. Sift through it. Apply some–and throw some (ok a lot) of it out. Listen to the world and people around you. They will give you insight and guidance to making the most of your life. One last thing, listen to children. I can’t wait to hear your insight and vision for life as you hit three and four. Children have given me some of the best perspective in life. Even when you are ninety — listen to children. The art of the hand written letter is dying. I’ve been told they don’t even teach cursive in schools anymore. I remember spending a good chunk of third grade working the kinks out of my hands from writing fifty cursive z-s (I also walked up hill both ways to school..). People from earlier generations are probably scoffing at my complaining about third grade cursive when they wrote out entire research papers in neatly inked cursive. Of course, you don’t have to write your letter in cursive..mom was just getting off topic. What I want to emphasize is that letters are special. There is nothing better than getting a thoughtful loving letter in the mail after weeks (or months) of junk-mail and bills. 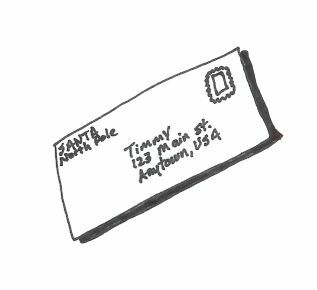 In a world of text messages and e-mails, a handwritten letter says “I’m thinking of you”. It says that the writer took time to sit down away from the distraction of conference calls, Facebook notifications, and important blog reading to focus on the words I wanted to express to you. I don’t tend to keep e-mails stashed away for future sentimental reading. What I can tell you is that I still have letters written to me my first year away from home at college or sent to me while I was at summer camp. Whenever I find those treasured letters that I’ve kept stashed away I can’t help but smile and feel that the world is an okay place. I guess I’m just asking you to not let the art of the hand written letter fade away entirely. At least once a month think of someone you love–someone you miss–someone you haven’t seen in a while–someone you just want to share something with–and send them a letter. You can include a picture, a funny drawing, write about a memory, a new idea. Heck, most people would even be happy to get a letter talking about the beautiful weather that day. I promise if you write letters to the ones you love–you will reap nothing but rewards from it in return. PS–Don’t forget to write a letter to Santa too..